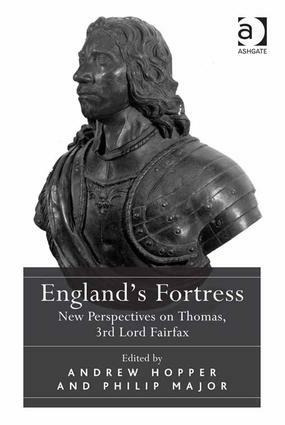 Overshadowed in the popular imagination by the figure of Oliver Cromwell, historians are increasingly coming to recognize the importance of Thomas Fairfax, 3rd Lord Fairfax of Cameron, in shaping the momentous events of mid-seventeenth-century Britain. As both a military and political figure he played a central role in first defeating Charles I and then later supporting the restoration of his son in 1660. England’s Fortress shines new light on this significant yet surprisingly understudied figure through a selection of essays addressing a wide range of topics, from military history to poetry. Divided into two sections, the volume reflects key aspects of Fairfax’s life and career which are, nevertheless, as interconnecting as they are discrete: Fairfax the soldier and statesman, and Fairfax the husband, horseman and scholar. This fresh account of Fairfax’s reputations and legacy questions assumptions about neatly demarcated seventeenth-century chronological, geographic and cultural boundaries. What emerges is a man who subverts as much as he reinforces assumed characteristics of martial invincibility, political disengagement and literary dilettantism. Dr Andrew Hopper is Senior Lecturer in the Centre for English Local History at the University of Leicester, having previously taught History in the Universities of York, East Anglia and Birmingham. His doctoral research at York examined parliamentarian allegiance in Yorkshire during the civil wars. From this he has developed a series of articles in journals such as History, Historical Journal, Journal of British Studies and Social History, along with the books ’Black Tom’: Sir Thomas Fairfax and the English Revolution (2007), and Papers of the Hothams, Governors of Hull during the Civil Wars (2011). His latest work examines the themes of honour and treachery, in ’Turncoats and Renegadoes’: Changing Sides in the English Civil Wars (2012). Dr Philip Major is Associate Lecturer in English at Birkbeck, University of London. He is the author of Writings of Exile in the English Revolution and Restoration (Ashgate, 2013). He has edited a collection of essays on Literatures of Exile in the English Revolution and its Aftermath, 1640-1685 (Ashgate, 2010), and on Thomas Killigrew and the Seventeenth-Century English Stage (Ashgate, 2013). He has written articles on seventeenth-century literature for a variety of peer-review journals, including The Times Literary Supplement, The Review of English Studies, Renaissance and Reformation / Renaissance et Réforme, and The Seventeenth Century, and also has chapters in a number of edited collections.